As the leader of a fantasy army, what creature do you ride into battle? What creature do you use as your personal steed to ride into battle and fight by your side against whomever your foe may be? Would love to see some verification photo's. What's that Dragon from Lord of the Rings? The one that's as big as mountains and when he fell outta the sky he wrecked like half of Middle Earth by just falling over? Oh yeah, Ancalagon the Black. Yeah I choose to ride him. The Flying Throne of Kai Kāvus, a mythical Iranian Shah. 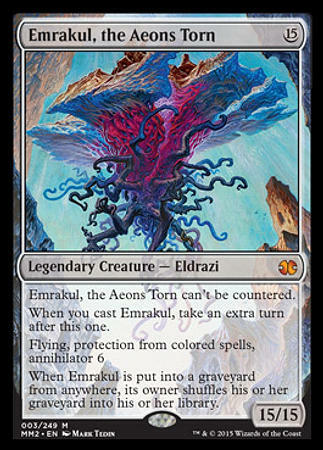 Emrakul, since I'm on a Zendikar buzz. Current time: 21-04-2019, 06:42 AM Powered By MyBB, © 2002-2019 MyBB Group.